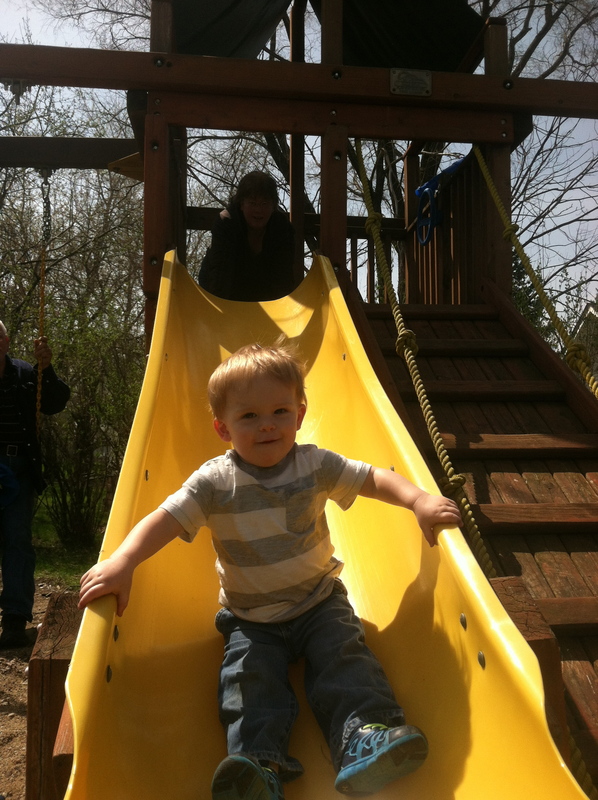 He fearlessly threw his tiny body down the slide. Nolan threw his belly on the seat of the toy train at the mall and then pulled his legs up. I could have lifted him into the seat, but I didn’t. I stood by and watched what he’d do. Right that second, my 19-month-old nephew taught me something. He taught me that if there’s something I want, I have to be determined. I have to throw my whole self at it. No fear. Go all in. And when I succeed, I need to beam with pride.